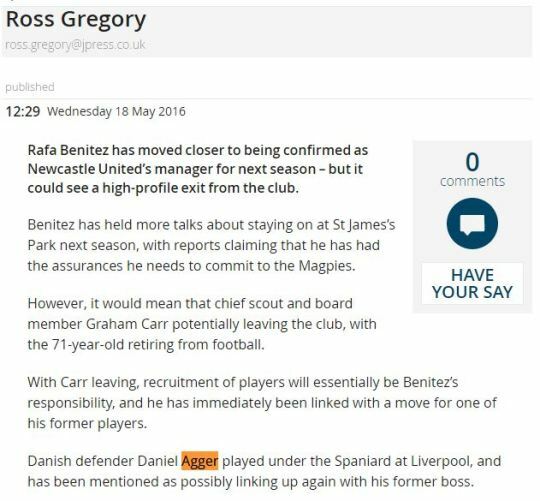 The Mirror report on it without checking the named source. Why waste time and lose column inches if it proves to be false? 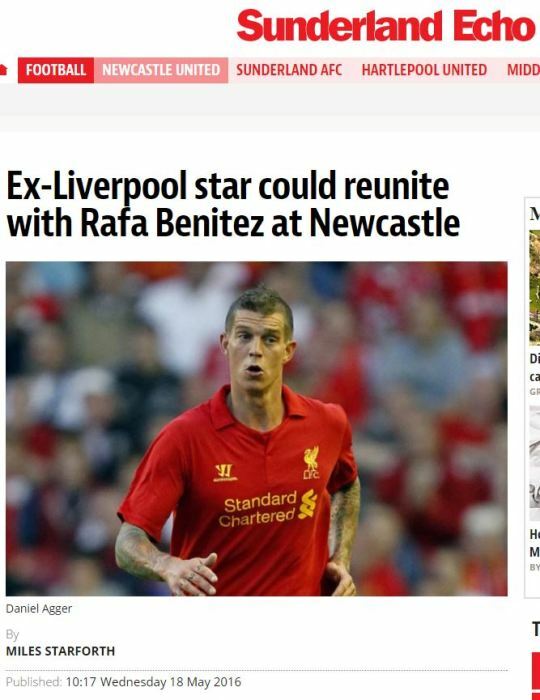 Yesterday I made up a rumour that there was an article in Marca that we were after Agger. Today it's being reported by the Mirror. Class. Understand move for Daniel Agger not on the cards for #nufc at this stage.